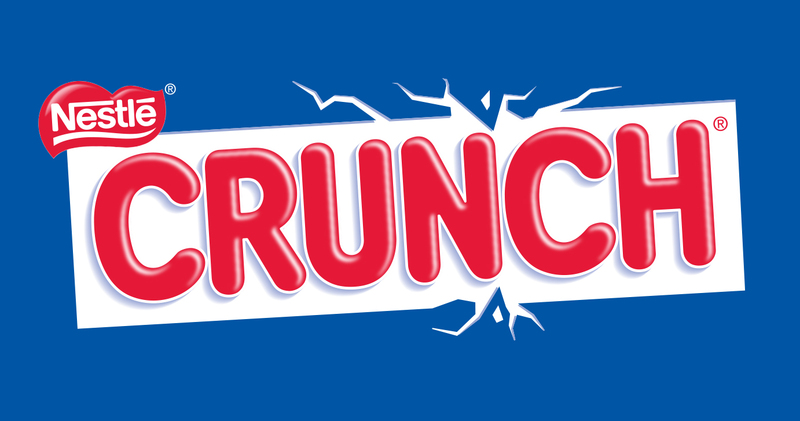 As if Nestlé® Crunch® couldn't tempt us enough. After months of speculation, Nestlé's has announced the new line of candy bars! We all know and love our annual girl scout cookies! Our time with our cookies is literally short and sweet. They are gone all too soon and we have to wait another year for the mouth watering sweets. This June, for the second year in a row, we can now enjoy our favorite Girl Scout Cookies until September! Not in a box sold outside your local grocery store by those cute little darlings but inside! 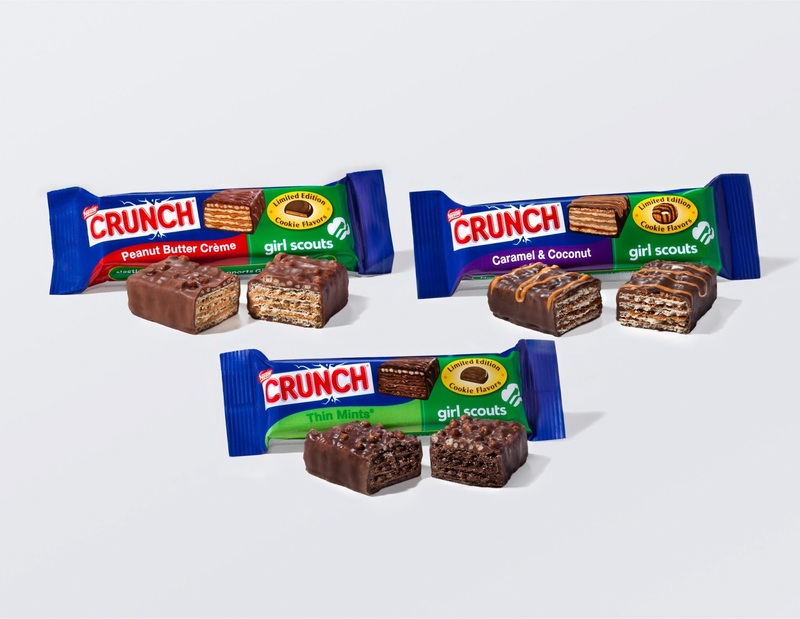 Three of our favorites have graduated to the next level, candy bars! I was fortunate enough to get a sneak taste of them for strictly reviewing purposes... really... Some one has to make sure they aren't dangerous to eat! Let me tell you! I really liked them! Who wouldn't? I would swear I was biting into Thin Mints™, Samoa's and Tagalongs! 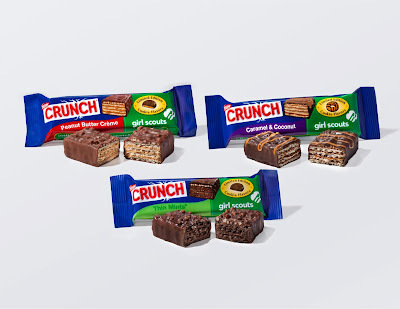 For a few extra months, we get to enjoy our Girl Scout Cookies in a new way. Already, these tasty treats have made waves! Founded in 1912, Girl Scouts of the USA is the preeminent leadership development organization for girls, with 3.2 million girl and adult members worldwide. Girl Scouts is the leading authority on girls' healthy development, and builds girls of courage, confidence, and character, who make the world a better place. The organization serves girls from every corner of the United States and its territories. Girl Scouts of the USA also serves American girls and their classmates attending American or international schools overseas in 90 countries. For more information on how to join, volunteer or reconnect with, or donate to Girl Scouts, call 800-GSUSA-4-U (800-478-7248) or visit www.girlscouts.org. Named one of “The World’s Most Admired Food Companies” in Fortune magazine for sixteen consecutive years, Nestlé provides quality brands and products that bring flavor to life every day. From nutritious meals with LEAN CUISINE® to baking traditions with NESTLÉ® TOLL HOUSE®, Nestlé USA makes delicious, convenient, and nutritious food and beverage products that make good living possible. That’s what “Nestlé. Good Food, Good Life” is all about. Nestlé USA, with 2012 sales of $10 billion, is part of Nestlé S.A. in Vevey, Switzerland — the world’s largest food company with a commitment to Nutrition, Health & Wellness — with 2012 sales of $98 billion. 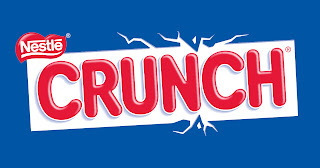 For product news and information, visit Nestleusa.com or Facebook.com/NestleUSA. Did you guys not have these available last year? The Thin Mint are so ridiculously addicting. I might have bought out our Walgreens... I actually still had one in the freezer that I ate a month or so ago. I totally had no idea!!! ;-P it's a good thin I didn't! Lol now I have to fight you guys for them! Lol I LOVE the Samoas!